The Jingle Jubilee event is hosted by A Helicopter Mom, About A Mom, The Kids Fun Review, Sunshine and Sippy Cups, and The Adventures of J-Man and MillerBug. My prize for the hop is provided by Logitech! You can see a video about it here. In order to win a giveaway of the Logitech Ultrathin Keyboard Cover answer the question, “What is your favorite logitech gadget?” The Logitech Ultrathin Keyboard Cover is the perfect companion to the iPad—super sleek, magnetically connected, reliable (six months of battery life) and practical, giving you smooth and quiet typing. Loving the Logitech Broadcaster Wi-Fi Webcam! Thank you for the chance! I love the Wireless Trackball mouse. That’s exactly what I need for using my computer from my couch and TV. Awesome. The Wireless Trackball mouse. I use my couch and TV with my computer, and I always seem to go just alittle to far and slid the mouse off the armrest. I didn’t even know they made that. Awesome. my favorite is their webcams! I really like the Logitech Wireless Gaming Headset G930! Like the Logitech keyboards & mouse! I use a laser mouse from the with my laptop and a headset as well. I haven’t tried any other products. I TRULY LOVE ALL THEIR PRODUCTS. MY MOM HAS THE ROLLER BALL MOUSE, I USE IT AND IT IS FAST FOR GAMING:) THANKS AND PRAYING! My favorite Logitech gadget is their Harmony Remotes! I have one and I will never use anything else EVER again. I have lots of products from Logitech, but the one that I like the most is the wireless keyboard. For a long time, it was in use with the PS3, but when my daughter’s laptop keyboard went out, it was called into use there. Great stuff. I would love to add an iPad keyboard to my setup now. I like the Logitech G19 Keyboard for Gaming. I like the Z506 speakers or the Z623. I love the Harmony remotes! Especially like the Harmony 1100 Advanced Universal Remote. I like the Washable Keyboard K310. solar keyboard folio for ipad. I like the m500 mouse I’m using. I like the security system!!! I really like Logitech’s mice…the gaming ones with the ergonomic shape. Our mouse is crazy old and we need to get a new one, but it is Logitech and we like it the best (even after trying other ones out, we always went back to this one)!! I like the The Logitech Ultrathin Keyboard Cover. my favorite is this keyboard cover!! definiitely the Laptop Cooling Pad N200! i neeed one! The harmony touch remote is pretty cool! 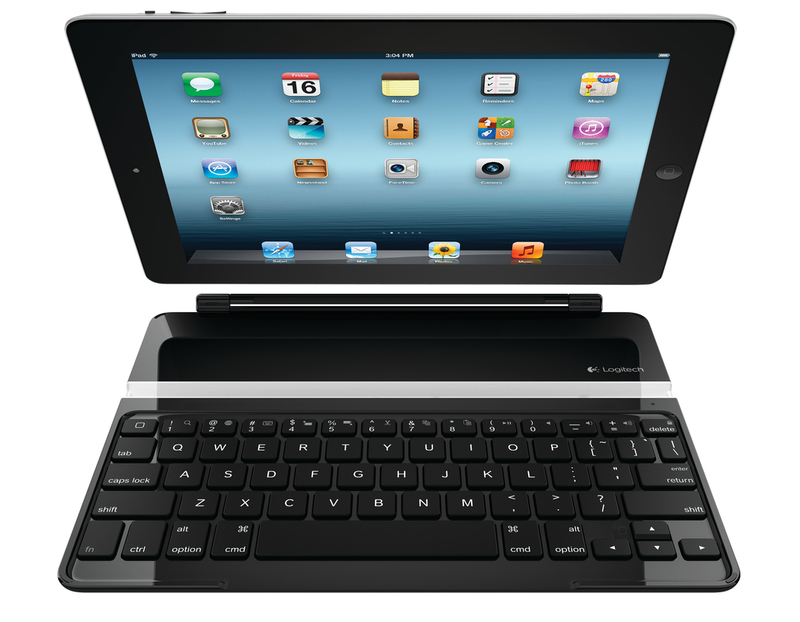 Logitech Solar Keyboard Folio for iPad just went on my list to Santa. I like the white paisley m325 mouse. Thanks for the chance. I like the Cooling Pad N200. my favorite Logitech product is Logitech Cooling Pad N200!! I like the keyboard/mouse combinations, but MY favorite gadget is my mouse. I only use logitech. My favorite Logitech device is always a mouse. They make the best mice as far as I’m concerned. The Logitech Touch Mouse T620. My son would love the Logitech Wireless Gaming Headset G930. I like the Logitech® Speaker Lapdesk N700. I like the G9x Laser Mouse! I love the Gaming Mouse G500! the ultra thin keyboard cover ! illuminated keyboard– something i am looking into seriously buying soon! I am interested in their computer speakers. My favorite Logitech gadget is the Logitech Ipad. I love that there is an ultra-thin cover for it. I like the ultra thin keyboard cover for the iPad.